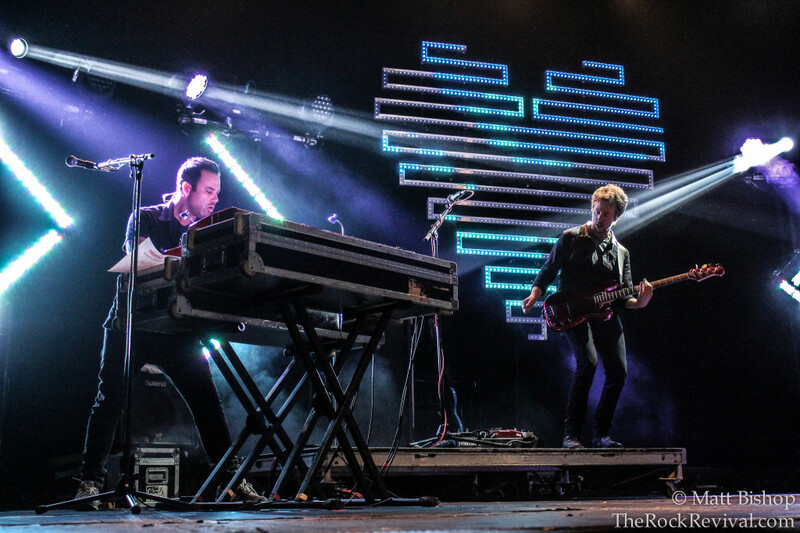 The future of pop-rock is certainly a bright one, thanks in large part to Fitz & The Tantrums and Capital Cities. 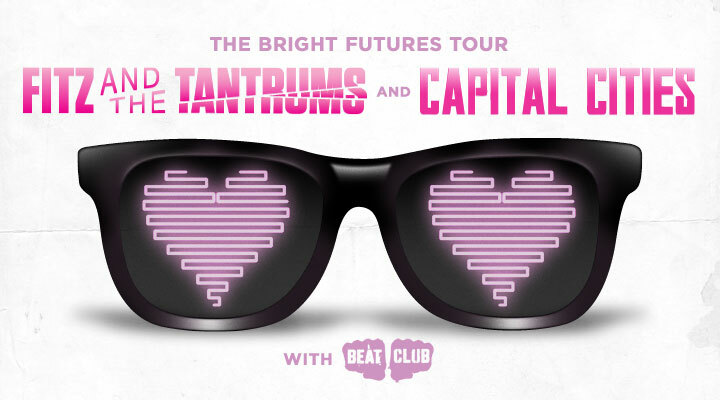 The two bands, along with special guests Beat Club, are in the midst of their Bright Futures Tour. 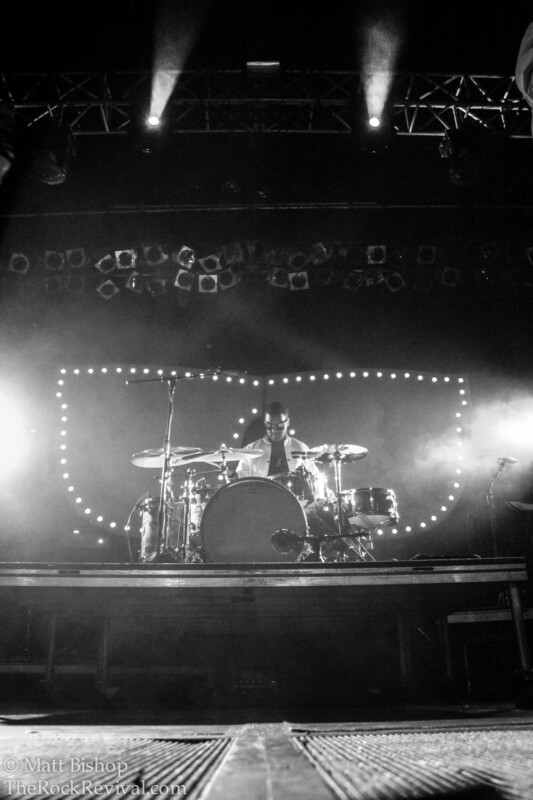 The show recently lit up The Electric Factory in Philadelphia, PA for a sold-out evening of feel-good fun. 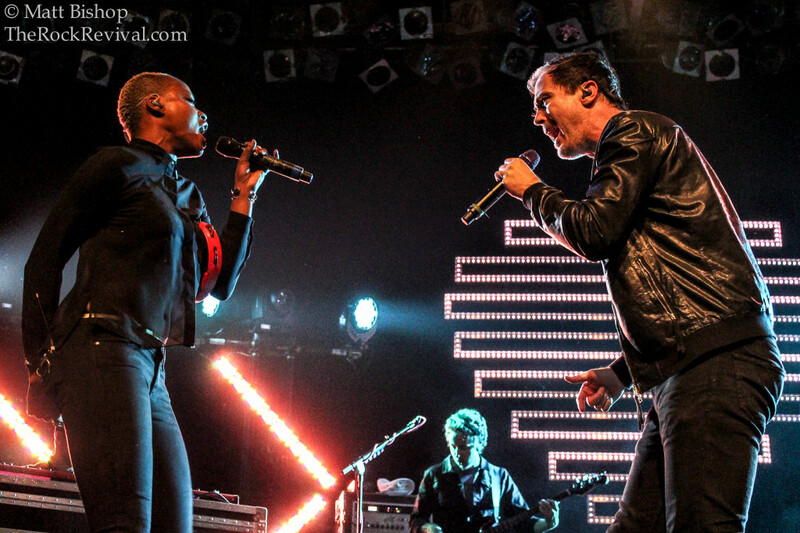 Fitz & The Tantrums are enjoying the breakout success of their major label debut, More Than Just A Dream, which peaked at #26 on the Billboard Top 200. 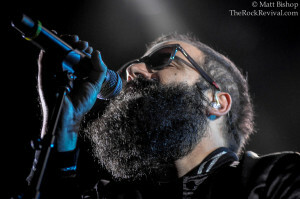 Back in June, Capital Cities dropped their debut album, In a Tidal Wave of Mystery, which hit #66 on the Billboard Top 200. Beat Club have released the 3-track Something Better Maxi Single on iTunes and are currently working on material for their debut LP. The Bright Futures Tour is one of the better combinations of bands I’ve seen tour together in awhile. Beat Club set the pace perfectly from the start. 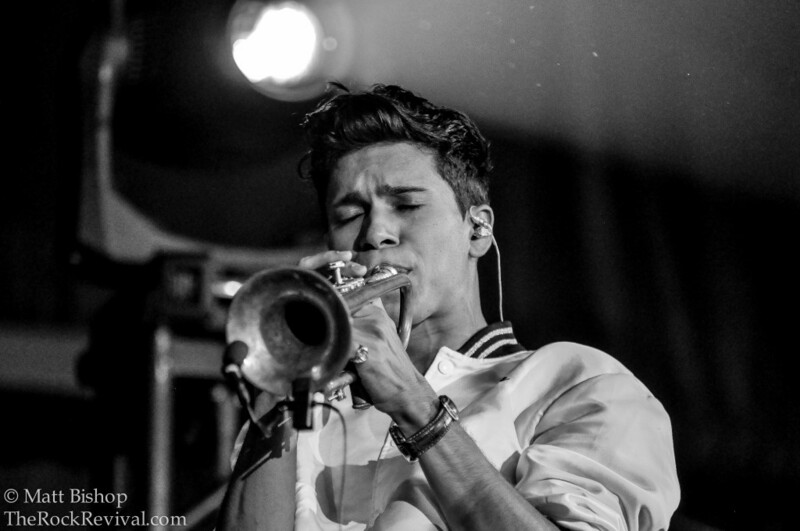 Capital Cities took things up a notch with their hip grooves and great production. Playing a full 12-song set, the band opened with their newest single, “Kangaroo Court”. They also threw in a pair of covers – “Come Undone” by Weezer, and an awesome version of The Bee Gees classic, “Stayin’ Alive”. Other highlights included “Farrah Fawcett Hair”, “I Sold My Bed, But Not My Stereo”, “Origami”, and “Patience Gets Us Nowhere Fast”. The band concluded their performance with their breakout hit, “Safe and Sound”. Fitz & The Tantrums concluded the triple-threat event. 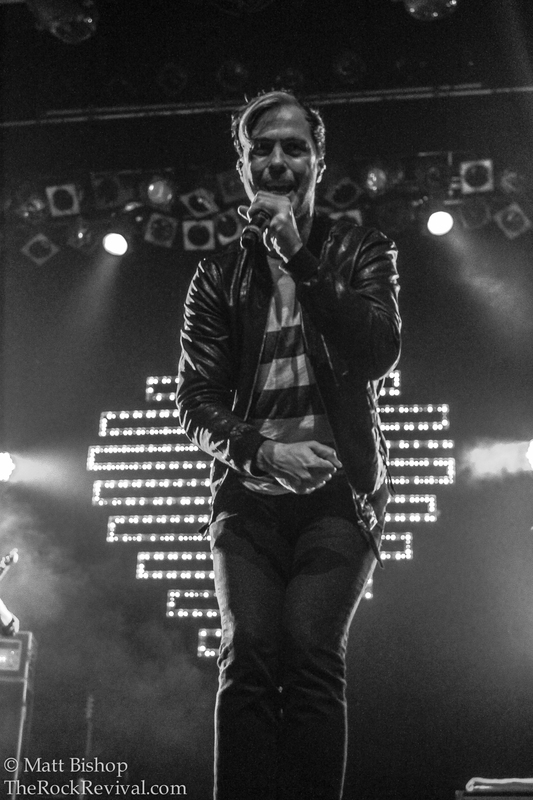 Last time the band was in Philly was back on Labor Day Weekend at Budweiser Made In America Festival. They promised they’d be back in November, and the promise was kept – this time with full production and a hefty 16-song set. They played every song from their latest album accept one (“The End”), and sprinkled in hits from their debut LP. Highlights included “Get Away”, “The Walker”, “Breakin’ The Chains of Love”, their breakout single, “MoneyGrabber”, and their smash hit, “Out of My League”. Fitz & The Tantrums played the covers game too, laying down their rendition of “Sweet Dreams (Are Made of This) by Eurythmics. 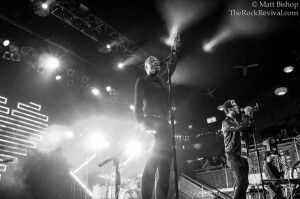 In 2009, Los Angeles funk-rockers Fitz and The Tantrums released their debut EP, Songs For a Breakup, Vol. 1. That same year, the band tour with Flogging Molly, and played a handful of shows with Maroon 5 on their Back to School Tour. 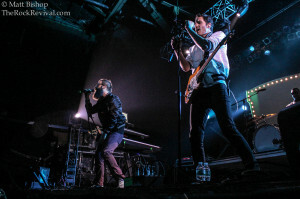 In May 2010, the band was invited to play SXSW and in August, the band released their debut album, Pickin’ Up The Pieces in August 2010 to much acclaim. The record debuted at #1 on the Billboard Heatseekers Chart. In early 2013, the band signed with Elektra Records and released their sophomore effort and major label debut, More Than Just A Dream, back in May. The record hit #26 on the Billboard Top 200. The album produced two hit songs for the band – “MoneyGrabber” and “Out of My League”. 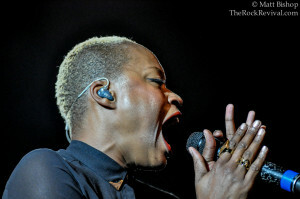 Tagged alternative rock, Capital Cities news, Fitz & The Tantrums Capital Cities tour, Fitz & The Tantrums Electric Factory, Fitz & The Tantrums news, Fitz and The Tantrums, indie rock, music, music news, Philadelphia, pop rock, rock music news, show review, The Rock Revival, TheRockRevival.com.